Redesigning Samsung’s global web presence. Design for large audience and different cultures. Design for many categories & products. Design system that is expendable. I was one of lead designers for redesigning SAMSUNG's global web presence. Samsung is the world leading multinational electronics company but their web presence was not decent enough for their quality of products. It was actually great honor and challenge as a designer. This is very rare opportunity to get. because it is extremely hard to find a company like SAMSUNG and they are shifting their entire web culture to adopt completely new one. In order to achieve that, the team not only needed to consider about humongous information structure but also needed to come up with compelling design strategy and hierarchy for the brand. Each flagship product can retain this template structure across small screens to large screens. 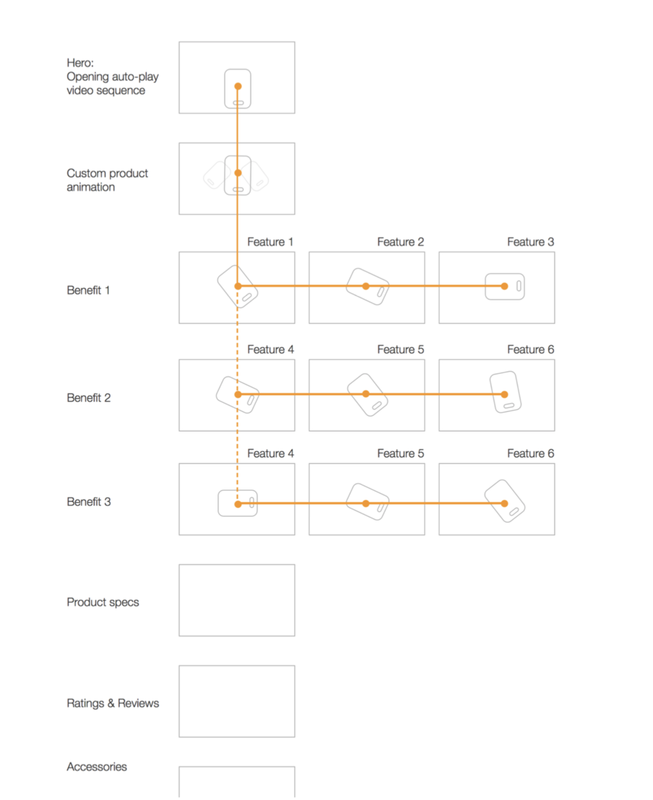 This system will provide flexibility to tell unique product stories with a structure which will be easy for users to learn across the range of flagship products. Animation will be used to create elegant transitions as the user goes through the experience. This system could be setup so the transitions work together whether a user goes down through the benefits or the features of the first benefit. 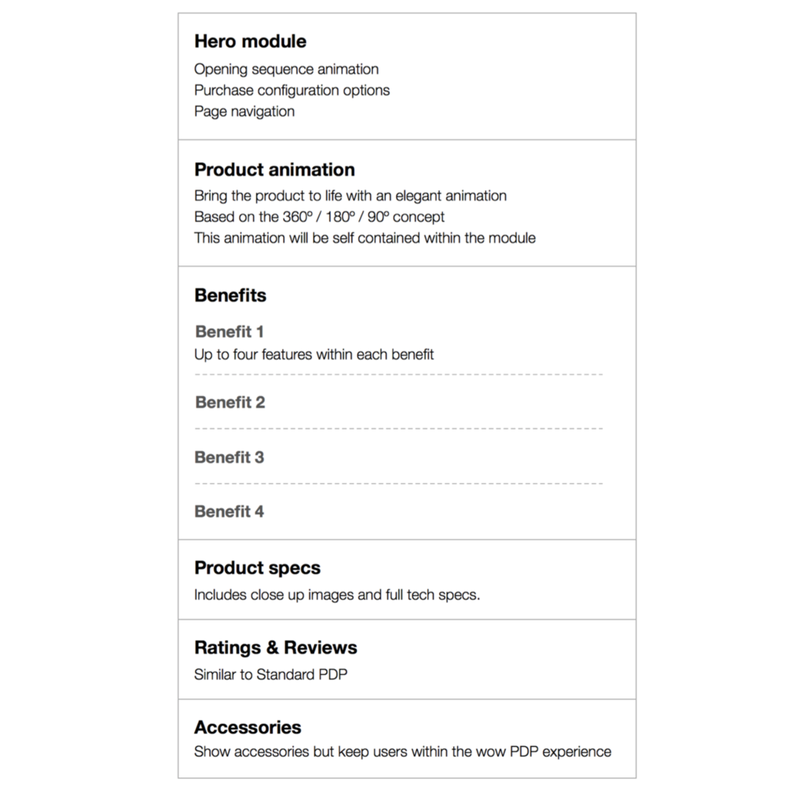 The product animation will subside once the user gets to Product Specs section. We wanted to design rich and nice page to show Samsung’s great products. We introduced long scrollable page that has narrative in it. In order to show cool gadgets, their images should not be truncated in small boxes. Samsung has most diverse categories of product. From a washing machine to a mobile devices, their product lines are endless. So we needed a good system that could contain all of them. In order for make design system serves in right form, we make sure all design elements are still beautiful and functional in any devices.User should not have any blocker to enjoy contents and trigger any actions they intended to. In order to explain and describe product not only with written words but also with visual languages, I created series of icons can help to support visual communication.